Hello again! Here we are, only one week away from Christmas day, and I’m excited to host another author in our Christmas blog project today. I hope you enjoy the following post by globe-trotting Canadian author Helga Zeiner! Helga Zeiner is a German born Canadian author. She left her home town Augsburg at age 18 to explore the world. In the following 14 years she has lived and worked in Australia and Asia. Her amazing experiences in those foreign countries are woven into all her thrilling novels. Since 2004 she has lived with her husband on a country estate in the wilderness of British Columbia, devoting all her time to writing. Helga Zeiner has published six novels in German and two in English. She is currently writing her third English thriller. Yes, I admit it, I make mistakes. Rarely, but still. As well organized as I am, it seems ridiculous that slip-ups in my planning might affect the most glorious time of the year, one that needs careful attention to detail and thoughtful consideration of all people involved. Family and friends deserve the best, right? 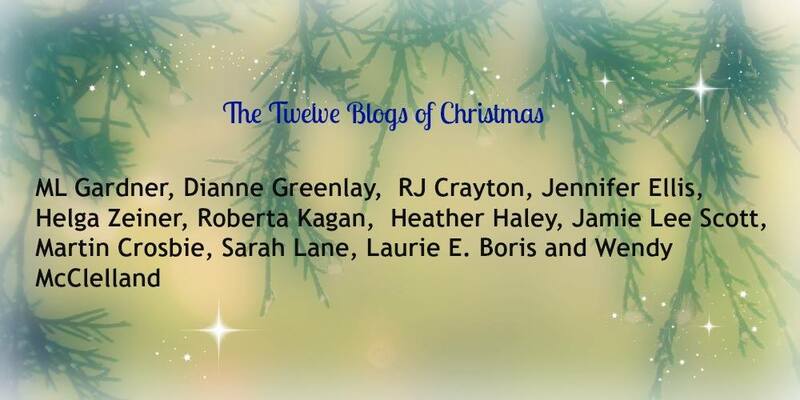 When my friend, the wonderful writer Martin Crosbie included me in his 12 Blogs of Christmas, I immediately jumped at the chance to interact with a group of great authors, and looked forward to write my contribution. Then… nothing! Words eluded me. Me! A writer! Everything that is nice and heart-warming about Christmas has already been written, I thought. But what about the Christmases (is that really the correct plural?) which didn’t go according to plan?